Tonight, the RiverKings host the Havoc in a Festivus showdown. From all of us at Team Sin Bin to you and your family, we wish you a happy and joyous Christmas. 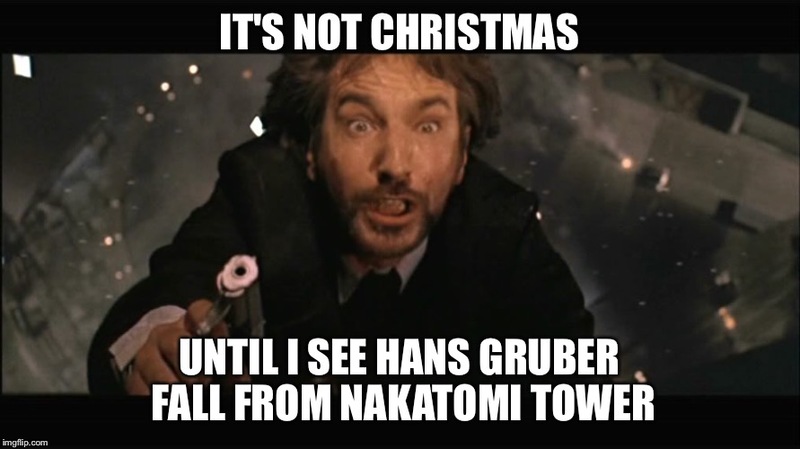 However…..
There’s no need in rehashing the argument why Die Hard is not just a Christmas movie, but a great Christmas movie. Also, there’s no use is complaining about why we have 24 hours of A Christmas Story and not 24 hours of John McClane (not to be confused with Pensacola Ice Flyers goalie John McLean) going to extraordinary lengths to bring his daughter a teddy bear for Christmas. Still not sure about what Festivus is all about? Click play, then head out to the Landers Center tonight for the Mississippi RiverKings’ annual Festivus game against the Huntsville Havoc. One grievance Evansville Thunderbolts fans can no longer air is their good luck charm, winger Justin MacDonald is back with the team after a stint with the ECHL Indy Fuel. As our Mike Finazzo has noticed, the Bolts are 3-0 in games when MacDonald scores a goal. Evansville will need all the good fortune they can muster (perhaps a Festivus miracle) when the Peoria Rivermen arrive at the Ford Center for tonight’s game. 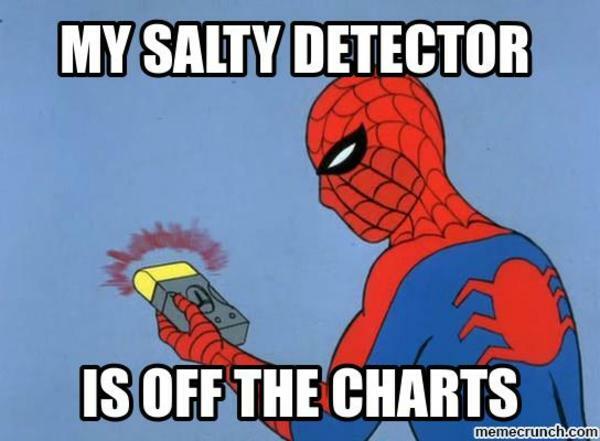 Macon fans, you have a lot of problems with the ECHL taking all of your players? Tonight, you get your very own Festivus miracle… AND HIS NAME IS JOHN SIEMER ♪♫♪! That’s right, folks, your leading scorer is back from Greenville to retake the SPHL scoring lead from Mississippi’s Cullen Bradshaw. Only Garrett Bartus is the remaining Mayhem player in the ECHL. Coach Jerome Bechard of the last-place Columbus Cottonmouths paid a high price to bolster his defensive unit this week, sending leading scorer (the Snakes have a league-low 37 goals this season) Riley Spraggs to the Ice Flyers for 6’5″ blueliner Zach Loesch. Spraggs led the Snakes with 13 points (6G/7A), and Flyers coach Kevin Hasselberg is looking for an offensive spark (seven goals over the last five games) for his squad. In case you missed it… Matthew Harding and I have released the first part of our SPHL 2016 Year in Review Podcast. We cover all of the major stories from the second half of the 2015-16 season, up to Josh Cousineau’s President’s Cup winning goal. Look for Part 2 to hit the website on Tuesday, December 27th. The Bolts and Rivs meet for the third straight game and the sixth of 12 times this season. Peoria leads the season series 4-0-1. Don’t look for special teams to be a factor. The teams have combined for three power play goals so far in their season series. Home ice disadvantage? The Bolts (0-2-0) are the only team not to win a game at home when leading after the first period. Sin Bin Swami sez: Evansville owes something to Peoria after last weekend and I’m just going pure homer here and taking the Bolts. Through four games, the Ice Flyers and Cottonmouths have split the season series. The two teams last met over the weekend of November 11th and 12th, with each team coming away with a win. Goaltender John McLean returns to the team after a stint on the IR. Backup netminder James Kruger was picked up off of the waiver wire by the Rail Yard Dawgs. Columbus center Andy Bathgate leads the team in assists with 12 and is currently riding a five-game assist streak. Despite their anemic offense, the Flyers have allowed the fewest goals in the league with 12 in the first period and 11 in the third frame. Sin Bin Swami sez: Can we just be honest? Nobody cares about this game. Sin Bin Swami then sez: Fine, I’ll take Pensacola, they win 1-0 in a shootout. Yawn. The Mayhem are 3-0-1 this season against the FireAntz. The two teams last met in a home-and-home set in early December with each team getting a post-regulation win. Antz goaltender Sean Bonar has struggled (like most tendies) against the Mayhem. Bonar has allowed seven goals in two games against Macon. If you’re in a first goal contest, you may want to consider Macon’s Collin MacDonald. The forward has scored the first goal of the game four times. If you’re partial to Fayetteville, consider Chris Porter and his team-leading three icebreakers. Despite only playing in six games with the Antz, Jake Hauswirth already leads the team in power play goals with three – all coming in one game against Roanoke. Sin Bin Swami sez: Macon is undefeated on the road, that has to end sometime. Why not tonight? I have the FireAntz at home. The Ice Bears are undefeated in four games against the Dawgs, outscoring Roanoke 17-9. The goal-less Danny Cesarz leads all scorers in this series with six assists. Cesarz, attempting to be the first player to win a pro hockey league’s scoring title without scoring a single goal, is seventh in total scoring with his league-leading 18 assists. This may get chippy… Both teams have combined for an average of 57.5 penalty minutes per game in their season series. Sin Bin Swami sez: Knoxville wants some redemption after last weekend. They’ll take it out on Roanoke. In the teams’ only meeting this season, the RiverKings beat the Havoc on December 9th in a 4-3 shootout victory. The Hockey East connection of Mike Moran (Boston U.) scored the winner, while Brad Barone (Boston College) made all five stops in the shootout. Moran has a current goal scoring streak of five games – the longest so far in the league this season. Both teams have won five of their last six games. Sin Bin Swami sez: In the big showdown, I’m taking Mississippi. I think they can score more than Huntsville. After tonight’s games, the league takes its Christmas break. Games will resume on Tuesday, December 27th, with a slate of four games. On behalf of Jimmy Gentry, Mike Finazzo, Dawne Walters, and the rest of our team here at The Sin Bin; We wish you all a Merry Christmas!